In a small village called Mangad near Kunnamkulam Paul was born on 30th Aug 1946 in the ancient Syrian Christian family of Kollannur to K. I. Ipe and Kunjeetty. He had his secondary education at Govt. H. S, Pazhanji, Paul moved to the city of Trissur for his pre-university and undergraduate studies at St. Thomas college, Trissur from where Paul passed in flying colours. He had his postgraduate studies in sociology at CMS College, Kottayam. From his childhood Paul showed keen interest in spiritual matters. His parish church, St. Marys Orthodox church was the nerve centre of his spiritual growth. Young Paul joined the Orthodox Theological Seminary from where he secured GST and took BD from the Serampore University. H G the late Yuhanon Mar Severios, Metropolitan of Kochi diocese ordained him as sub deacon at Parumala seminary on 8th April 1972 and as deacon at Sion seminary, Koratty on 31st May 1973. He was ordained as priest by H G the late Yuhanon Mar Severios at Sion Seminary, Koratty on 2nd June 1973. Fr K I Paul celebrated his fist Holy Qurbana at Mar Gregorius Orthodox ChapelÂ Mangad. The malankara Syrian Christian association held at MGM Thiruvalla on December 28th 1982 elected Fr Paul as metropolitan. H G the late Mathews Mar Coorilos (later H H Moran Mar Baselius Mar Thoma Mathews II) professed him Ramban on 14 May 1983 at Parumala Seminary. On 15th May 1985 H H Moran Mar Baselius Marthoma Mathews I consecrated Paul ramban as Episcopa with the name Paulose Mar Milithios. H.G Yakob Mar Elias was born on 24th February 1953 to Chackaleth Viruthiyath Kizhakkethil Mathai and Mariamma. His Parish is St Elias Orthodox Church Budhanoor, Chenganoor Diocese. Thirumeni was Consecrated as Metropolitan on 12th May 2010 at Mar Elia Cathedral, Kottayam Kerala. A strong follower of simplicity and traditions, thirumeni has a M A from Kerala University and B.D and M.Th from Serampoor University. 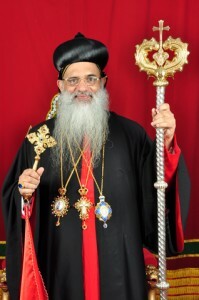 Before becoming the Metropolitan of Brahmavar Diocese, he held a number of positions in the Orthodox Church. Positons he held where Manager, Mar Elia Chapel, Sasthamkotta. Director, St. Basil Bible School. Vice President, Orthodox Christian Youth Movement. 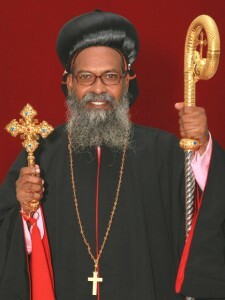 Secretary, Kottayam Diocese. Member, Ecumenical Relations Committee. Member, Mission Tranining Centre. Member, Mavelikkara, Orthodox Bible Preparation Committee. Member, Malankara Sabha Editorial Board.Member, Oriental and Anglican Forum.